Rejoice, happy-go-lucky and environmentally conscious Coca-Cola lovers. Thanks to this new "2nd Lives" kit from the brand, you can now transform your Coke into something even more delightful. Is that just an empty soda bottle? Nope, it’s a squirt gun. Useless piece of trash? Nope, it’s a pencil sharpener, or the perfect rattle for your baby. Make your children happy. Give them Coca-Cola, and toys made from Coca-Cola. And if you have two empty Coke bottles, you can even make a dumbbell to burn off some of the calories you gained by guzzling both. 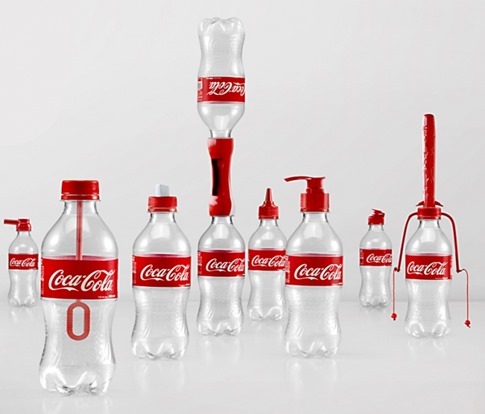 Created with the help of Ogilvy & Mather China, the campaign features a line of 16 innovative caps that can be screwed on to bottles when they’re empty, transforming them into useful objects like water guns, whistles, paint brushes, bubble makers and pencil sharpeners. It’s all part of a clever effort to encourage consumers in Vietnam to recycle, and a rare success at the sort of alchemy that seeks to reincarnate garbage as advertising (even if such attempts are a cornerstone of the marketing industry). Coke will give away 40,000 of these modified caps, which come in 16 different varieties, to start. It’s not clear if the add-ons themselves are made from recycled material. Even if they are, producing more plastic parts might not be the best way to reduce plastic waste. "What if empty Coke bottles were never thrown away?" the campaign asks. Clearly, it would mean people everywhere could finally live in a utopia where everything was made of Coke products.